Have you been keeping track of your mileage to submit to your accountant? Um, I thought I was. I have never really understood or sat down to understand why I needed to give my miles to the accountant. Why can't they just calculate the amount of gas I'm constantly pumping into my car? I guess that was very selfish and lazy of me. Now that I'm driving all over Richmond, VA to show homes and keep track of my listings, it is imperative that I keep a detailed record. I found an awesome app that I wanted to share with you too. If you are in sales, this is a great way to determine your mileage whether it is business, for charity or personal. I love it and it's really simple to use. 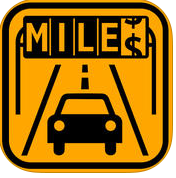 MileTracker did not pay me to mention their app. This is my own genuine review. P.S. It's my 10th Miracle Morning and I'm grateful for you!